Passages to the Past: 'When England lived under Danish rule', guest post by Mercedes Rochelle + Giveaway! 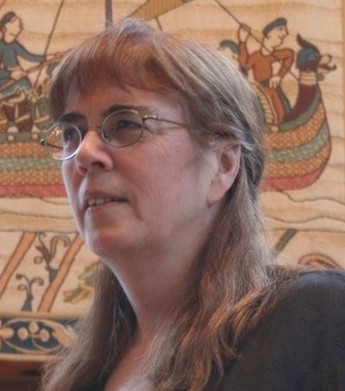 'When England lived under Danish rule', guest post by Mercedes Rochelle + Giveaway! Today on the blog I have a fantastic guest post from author Mercedes Rochelle and a giveaway of her latest novel, Godwine Kingmaker! Mercedes is currently on blog tour with HF Virtual Book Tours, so be sure to check the schedule of stops below to read reviews, interviews, and guest posts from the tour. Almost without exception, we regret the sudden end of the Anglo-Saxon era in 1066. Nonetheless, I think it’s interesting that the Danes ruled all of England for more than a generation, and they barely rate more than a footnote in the history books. Between Canute and his sons, the Danes were kings from 1016 through 1042, yet we still think of England as Anglo-Saxon during that era. Of course, the Vikings were no strangers to England. During the reign of Alfred the Great, the Danes overran the country and would have conquered all but for the dogged resistance of the King of Wessex. In the end, Alfred divided the country in half, and the Northmen settled and ruled the Danelaw for the next 200 years. By the time Canute’s father, Swegn Forkbeard took the crown in 1013, England’s Aethelred the Unready had made a mess of things and some of the country was beginning to think that Danish rule might be preferable after all. Not that they had much choice. Swegn Forkbeard died suddenly after only a few months on the throne. Aethelred came back and faded away, Edmund Ironside had a brief tenure as king, then Canute took over in 1016. At first things didn’t look good for the Anglo-Saxons. Some key English Thegns were assassinated (including Eadric Streona) and Viking Jarls were installed in their places. Canute proceeded to raise the largest Danegeld tax yet (£82,500) to pay off the Viking ships, but luckily he sent most of the army home afterwards. From then on, England was not considered fair game (except for the occasional raid) until the unhappy events of 1066. Historians often voice their surprise that Canute decided to settle down and adopt the ways of his conquered people, in direct contrast to William the Norman. It could fairly be said that the Vikings were absorbed by the Anglo-Saxons through intermarriage and common economic concerns. Canute became Christian and founded many churches, mostly to atone for his early bloody victories. Although Canute had difficulty juggling his Empire of Denmark, England, Norway and part of Sweden, he made England his home. He presided over 20 years of peace and prosperity, and by the end of his reign, Canute was known as a good and just king. Had he not died young – only about 40 years old – England might have stayed Danish considerably longer. Canute's two sons, Harold Harefoot and Harthacnut, both died within a few years of taking the crown, and neither one gave birth to an heir, legitimate or otherwise. The crown passed smoothly back to the house of Wessex and the hands of Edward (later the Confessor), who had spent the last 30 years under the careful tutelage of Continental Normandy. From the Frying Pan in to the Fire, although the Anglo-Saxons didn't know it yet. My hero Godwine (later the first Earl of Wessex) meets Canute while the Danes were still struggling with Edmund Ironside. He saw an opportunity to make his fortune, but needed to throw in his lot with the invading army. I would say he spent much of his early career trying to justify the choices he made. 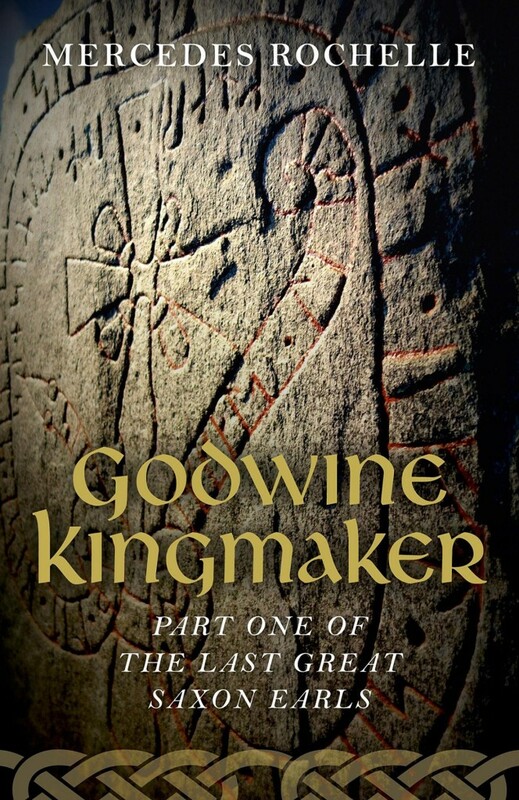 Passages to the Past has one paperback of Godwine Kingmaker up for grabs! To enter the giveaway please leave a comment below with your email address. – Giveaway ends at 11:59pm EST on May 15th. You must be 18 or older to enter. What a fascinating subject! I was not aware of the Danes rule. I'm very intrigued and would love to read the story. Thank you! I haven't read many books in this time period, and this one sounds very interesting. Thank you! Thanks to Helen Hollick and Bernard Cornwell this is a favorite era of historical fiction. This novel sounds great; it is on my wish list. Thanks for the giveaway. This sounds like a good way to learn some history I never knew about! Thanks for the chance to win. Have heard great things about this book, thanks for the giveaway. I have been reading good reviews about this book. It takes a slice of history I don't know much about, so it sounds very interesting too! Thanks!